Do You Know The Causes Of Depression? The causes of depression can be difficult to pinpoint. Since more than one factor contributes to the onset of depression in most people, it is almost impossible to say exactly what caused depression in any one person. Depression is not like the flu, where a certain virus is the cause. There are a lot of factors that appear to contribute to depression, and perhaps a group of factors is responsible for causing depression when they come together in a certain way. Many people have a genetic predisposition to depression, but even that in itself does not necessarily mean a person will become depressed. Other factors come into play as well. Several chemicals in the brain regulate mood and emotions. Known as neurotransmitters, these chemicals include serotonin, dopamine and norepinephrine. Some people have lower levels of these chemicals available. In depression that is biologically or genetically based, depression symptoms are the result of depleted levels of neurotransmitters. A person who is genetically prone to depression may experience a quick downward spiral when something triggers a low mood. When neurotransmitters levels drop, behavior and thought patterns are affected. This can also happen the other way around; that is, depressive behaviors and negative thoughts can lower levels of neurotransmitters. In this way, depression can literally change brain chemistry and become a biological condition over time if it is not treated. When depression takes hold in this way, at least a short course of medication is often the only way to treat it. However, it is sometimes possible to recognize symptoms of depression and treat the condition naturally before it gets this severe. Some cases of depression are triggered by traumatic early experiences, such as being abused, abandoned or neglected in childhood. The theory behind developmental depression is that it is caused by an insecure upbringing that did not allow a person to grow into a happy, confident adult. The result can be a sense of sadness and loss in adulthood. People with developmental depression may be insecure and feel worthless. They may also have difficulty achieving what they want to accomplish in life or even setting goals in the first place. death of a loved one, the loss of a job or a life-threatening illness can also cause or contribute to depression. While everyone feels down when bad things happen, situational depression can become full-blown clinical depression in certain cases. If a person is biologically prone to depression or has inadequate support or coping skills, he or she may not be able to recover from a stressful situation and may instead become clinically depressed. “Major depression” is the term used to describe a severe and debilitating case of depression. Major depression significantly affects a person’s ability to function, and it almost always requires professional, medical intervention. Biology is most likely to be at least partly the cause of major depression, though the condition can be triggered by something else, such as trauma or loss. The cause of depression may not be obvious until it is treated. Often a depression treatment that works for one person may not work for another, and that’s because each case of depression has a unique set of causes. If medication works, the depression has a biological component. If counseling works, there may be a behavioral cause or a problem with thinking patterns. If a change in diet helps, some aspect of the depression may have been caused by a nutritional deficiency. If finding a better job after being fired turns depression around, the cause of the depression was most likely situational. In the end, knowing what causes depression may not be as important as knowing how to treat it. 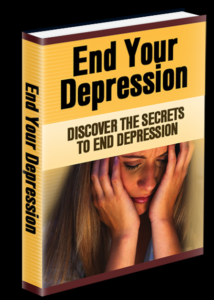 You can find out more about how to treat specific depression causes in “End Your Depression.” The guide provides a variety of options for treatment from which you can develop a targeted plan that works in your own unique case. This article explains that depression is a complex condition that may not have an obvious specific cause. A number of possible causes for various types of depression are provided.